Yes, I have another book in the works, a book of short stories. I call it “Embers“. One of the short stories is Embers, which was actually named from a #writephoto challenge by Sue Vincent. That story is in five parts, with the first being written for the challenge. 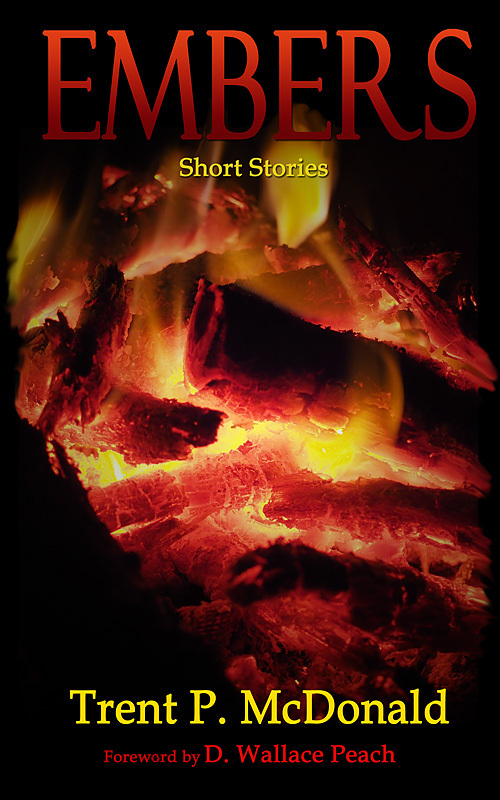 And, of course, each short story can be thought of as an ember, a little nugget of imagination packaged up in a self-contained short story, ready to burst into flames in your mind. See that picture at the top of the page? Yep, that is the book cover. Maybe ;) I’m doing my own cover again, so it is possible it will be tweaked as time goes on. It should be pretty close to the above, though. I will post more about this book, of course, as we get closer. For now, I will just say a few words. Although it has fewer stories than Seasons of Imagination, it is longer. There are two novellas, perhaps three depending on your definition. Maybe even four… There are also a few other longer stories, though still a few short ones. And just like Seasons, the stories are very eclectic in nature. This entry was posted in Fiction and tagged Book, book cover, book promotion, cover reveal, short stories, short story collection on October 19, 2018 by trentpmcd. Congratulations. Looking forward to the release. Congrats, Trent. I’m excited about this book’s coming release. :-) Wonderful stories. Thanks, Sue. You are a bit of a “fairy godmother” on this book providing not only the name, but the inspiration for a handful of the stories. You are 100% “fairy godmother” on the next book! That’s the one that is two long fantasy novellas based totally on your prompts. I am really quite touched and definitely honoured to have played a small part in these books, Trent. It really does make running the prompt worthwhile to see the creativity and storytelling that comes from the pictures. Sometimes it does take a good picture to jog loose those ideas, and your photos are always very interesting. I enjoying reading everyone’s take on them.